For companies that rely on various keys for different applications as a means of key control, products such as safes, drop boxes, key boxes and lockboxes are a must. Key security products come in standard options, including Key Control Wall Cabinets, Hook Key Cabinets, Key Drop Boxes, Key Storage Locks, Safes, Lock boxes, Key Rings and Wall Mounted Key Organizers. To take the next step in Key Control choose complete key systems, drop boxes and safes to make your key security complete. Key kop cable key ring restricts access & unauthorized key removal. Key kop key ring restricts access & unauthorized key removal. Snap-hook key tags add ease to any key security system. Emergency key holder replacement panel covers emergency keys. Portable master lock key storage boxes use a combination lock to keep your important keys secure. Emergency key holders keep a key that unlocks restricted safety escape exits. Organize and control access to all of the keys that your business utilizes with handy Key Control products. Cabinets, key rings, and other tools will enable you to keep track of and house all of your keys and accessories. 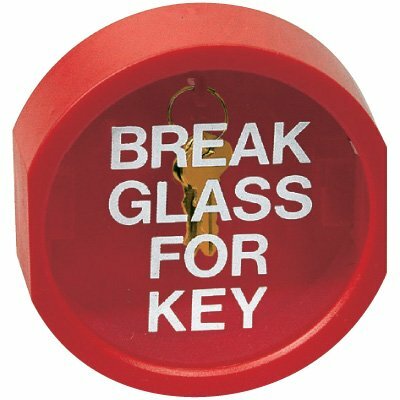 Take a look at some of Seton's Key Control options, including: Locking Key Rings, Dupli-Key 2-Tag Key System, Multi-Purpose Drop Boxes, Closing Tools and more.